What I would like to do in a series of articles is to suggest some different DH approaches. Some may be familiar to you; some may be new. If you discover a new approach then try it for yourself and see how it feels, and come to your own conclusion about what seems the best way for you, the most comfortable ‘fit’. 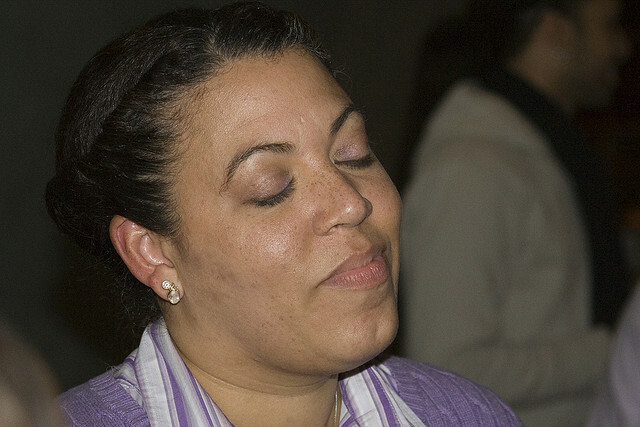 Distant healing is a very important part of Reiki practice, of course, and is something that is not unique to Reiki. 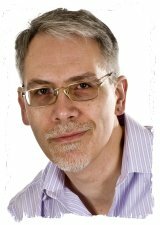 Distant healing (DH for short) is carried out in different Reiki lineages in different ways and there is no one ‘right’ way to perform this process. The important thing when carrying out DH is your underlying intent, and the details of the ritual that you use are unimportant. What I would like to share with you today is another simple version of DH. It doesn’t involve symbols, it doesn’t involve complex imagery or long affirmations, though it does involve some imagining. This method cuts the process down to its essential parts. The bare bones of distant healing are to know where you are sending the energy – to set a definite intent – and to allow the energy to flow, and as you do that, it can be helpful to imagine something to help maintain your focus, or to focus your intent. Finish with the shoulders again. In this example we dedicated the distant healing to the recipient’s highest good, which means that we were neutral in the process, not directing the energy to achieve a particular result. We approach distant healing in the same way that we approach treating another person: we have no expectations, we stand aside and we allow the energy to do whatever is appropriate for that person. If this approach is new to you, why not try it and see how you get on, and let us know by posting a message below. Need some help with your distant healing? 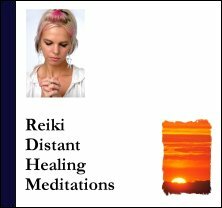 If you’d like to learn more about how to do distance healing with Reiki, or if you need some help with your distant healing, why not download my collection of Reiki distant healing meditations on MP3. They are suitable for all Reiki levels. The meditations encompass the most simple approach ever… and more ritualised ones. Cup your hands, use some sort of a prop like a pillow or teddy bear, use a Distant Healing box or book and send to your future or past. All these meditations are right there for you to use straight away. Just close your eyes and I’ll talk you through everything you need to do. Experiment with the MP3s and find out what works best for you. Yes, simplicity at it’s best. I do agree that rituals are not important. It’s our sincere underlying intent that is the driving force. That and getting ourselves out of the way and becoming *empty and still*. I recall a few years ago receiving a call on my mobile while I was in Glasgow Central Train Station awaiting my train pulling in. who was quite ill at that time. You can imagine the noise of trains, people and trains plus the loudspeaker going. allowed the energies to work through me. No rituals. Simply intention and becoming empty. It was one of the most beautiful D.H. experiences I have encountered so far on my Reiki journey! There was no me, no cousin, just the *one pulsing energy* working as one. I do go on a bit about simplicity, I know, but it is so gentle yet powerful. As long as we are in neutral, having no expectation, miracles can and do happen! I do like the whole concept of keeping it simple but become a little unsure when I want to send reiki to several people at once. I have tried to imagine my friends in a cicle in my imaginary reiki suite with me at the centre and either touching each one’s shoulder in turn or having multiple arms (this doesn’t sit well with me). Any suggestions would be welcomed. Say in your mind that this is a DH for ….and name them. For their greatest and highest good . After that just intend that it goes to the list of people you want to send it to. That’s all. Remember to say thank you for the healing after. You could write their names on a piece of paper, or in a book, and Reiki teh paper/book, with the intention that the energy goes to all recipients. You could rest your hands in your lap, with palms facing each other, and imagine the three people, shrunk down, are standing in the gap between your palms, so you could Reiki them that way. You could imagine them sitting in chairs in front of you, smaller than life size, and radiate or ‘beam’ Reiki to them, imagining the energy going to the recipients. You are limited only by your imagination, John. The important thing is your underlying intent, which drives what is happening; how you choose to visualise is endlessly variable.